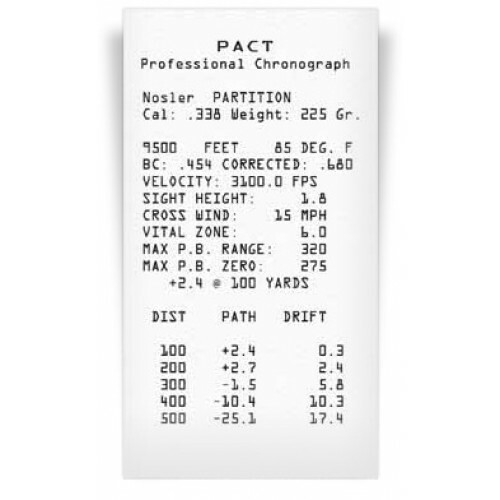 The Pact Professional Chronograph XP features a huge bullet library, Mark 6 skyscreens with an improved mounting bracket and a built-in printer. The XP measures bullet velocity from 50 to 5,000 fps. You can download shot data to a PC and upload new bullet data as it is developed. 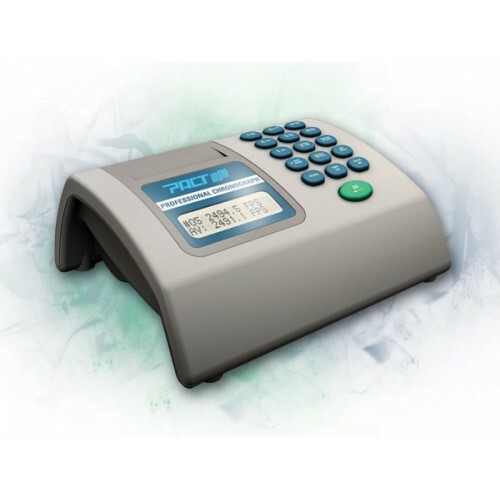 Chronograph calculates average velocity, Taylor knockdown power, power factor, standard deviation, average deviation, extreme spread and trajectory. Chronograph gives you a complete statistical analysis of your velocity data which allows you to tune your loads to perfection. Load calculations include energy, recoil and knockdown power. Powered by a 9 volt battery (included). Covered by a limited lifetime warranty.